While 38-year old Babe Ruth was still a formidable slugger in 1933, he no longer reigned at the king of the diamond and it was only fitting that he would be supplanted by a fellow Yankee. 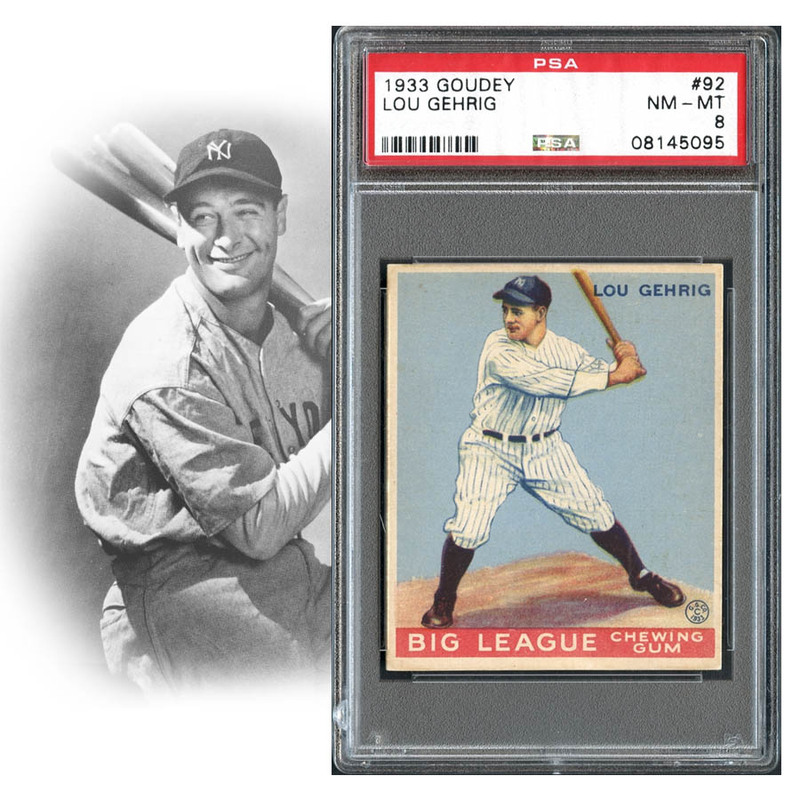 It was now Lou Gehrig's time to shine, and even with his portfolio of .300+ seasons and incredible RBI totals year after year, Gehrig hadn't reached his pinnacle as he was still one year away from an amazing triple crown season. Offered is the most recognized Lou Gehrig card in the hobby and one of the key cards ever produced in the history of the game. With just seven examples having ranked above this 1933 Goudey Lou Gehrig card on the PSA pop report, the offered pasteboard will immediately boost the status of any world-class collection. Nicely centered with just the slightest preference for the top edge, the four NM/MT endpoints surround and contain the unmistakably clean and crisp artwork of "The Iron Horse." 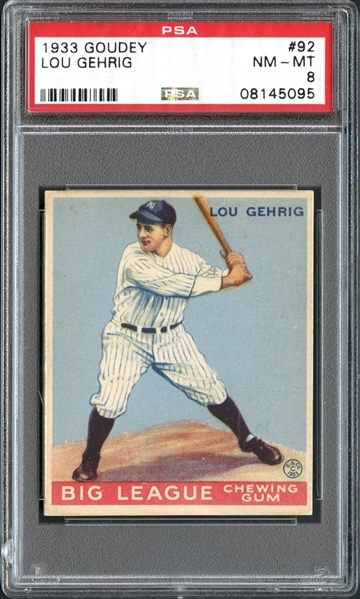 The all too familiar robin's egg color of this #92 Gehrig is vivid and precisely delivers Lou's likeness through the detail of his Yankee pinstripes as well as the peachy flesh tones of his face. 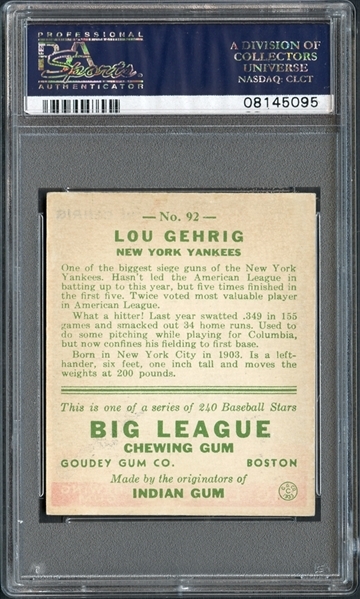 The red "Big League Chewing Gum" banner at the bottom adds a subtle strength to the eye appeal while the reverse is pleasingly delivered with the usual red bleed-through at the bottom. A stellar card of this Yankee immortal, offered in exceptionally well-deserved NM/MT condition.